Joshua Part 5 - Being a cross over people. Jer 29: 11 11 For I know the plans I have for you,” declares the Lord, “plans to prosper you and not to harm you, plans to give you hope and a future. As believers it’s not just about salvation but God has good works for us to do. It’s not just about heaven but here on earth, God has a plan for you. He plans to reward us as we faith fully serve Him. But in our Christian life often we will hit obstacles". The least quoted verse in the Bible I think is :” In this world you will have many troubles” John 16:33. We all face trails, troubles and difficulties. Today we will look at the Old Testament and look at the people of Israel and the challenges they faced and how they overcame it. 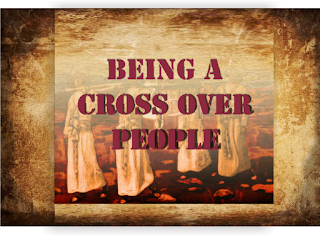 The tile of my message today is ,” being a cross over people”. The Israelites have spent 40 years wandering in the wilderness and now Moses is dead and they are going to enter the promise land under a new leader Joshua. But it’s not easy to enter – there are many challenges ahead. There are enemies that they have to battle, but even before they do that, they have to take the walled city of Jericho and even before that there is the river Jordan that they have to cross. God has spoken to Joshua and the people of Israel and He has assured them that that they were going to possesses it. The promises are there. But there are obstacles to be overcome and there are some things the people have to do and there are some thing s God said He would do. So here are 2 million people that need to cross over a river that is in flood. The river Jordan in flood is said to be a mile wide. In Josh 2 we see how 2 spies got across the river to spy on Jericho. Taking 2 million across is another story! 1 God allows challenges to come into our lives and sometimes they are for His glory. Eg) Lazarus, David and Goliath, Elijah and the prophets of Baal, Daniel, feeding the 5000. The Bible is full of example of people who faced insurmountable challenges. Think about some of the challenges you are facing today. We live in a fallen world with all kinds of problems: illness, finance, relationship issues etc. The challenge Israel faced was the river Jordan. Joshua 3:15 How do two million people cross a river that is in flood? 2. How did they get comforted in their midst of their challenges? They were comforted by the promises and the presence of God. Josh 1:2, 3, 11. Chap 3:5 the Lord will do amazing things among you. We need to remind ourselves of the promises of God when we are faced with problems. Speak to one another about the promises to one another. They were comforted by the presence of God. Chp 3:6 the strategy was not to build a boat or a bridge to cross the river but to tell the priests to carry the Ark of the covenant and step into the river. v12 the break through comes. The water stands in a heap. The presence of God was ( Exodus 25 ) represented by the Ark. The Ark was not a religious charm. Today people have all sorts of religious charms that they have in their homes, ties on themselves etc. The Ark was not like that. 1Sam- The Philistines had captured the art and as a result they were cursed with all kinds of boils etc. When the Ark was with the Israelites, there was blessing upon them. 1Cor 6:19 Where is the presence of God today? First of all the presence of God is in us and as a people . When we come together I worship God’s presence is there. Let’s be a people who value the presence of God by spending time with Him alone and together. Spend time with god daily. As disciples of Jesus we need to worship individually and corporately. Do not neglect it. Life Groups, Sunday worship are also a means of grace. They were told to consecrate themselves i.e be set apart. We are called to be set apart. How did they do this. Josh 5:2. For the Israelites circumcision was an external sign. Today the external sign is water baptism. In the OT an 8 day old baby boy was circumcised. In the new Testament spiritual babies were baptized. Have you been consecrated? Jesus command was to go and make disciple and baptized them in the name of the Father, Son and the Holy Spirit. Putting aside sin – Achin’s sin. The whole family perished. Acts 5 – Annanias and Saphira were struck dead. Sin can destroy you. We need to put aside the deeds of the flesh. Col 3:9-10 Lets be ones who speak the truth- no cover up or modifying the truth. Sometimes we need to put aside seemingly good things as well if they are coming in the way of you getting your spiritual inheritance. Viz. overly absorbed with your career, a hobby, and relationships. We need to get the balance right. 2Tim2:20 Articles of noble and ignoble use. We are not to be pre occupied with sin but when it come up we deal with it and move on. God want s to do amazing things in your life – take the challenge and allow the promises of God to work in your life. Pray the promises of God in the Word. As we do that we will see God come in. How does God come in ? 1Miracle – a supernatural intervention of God. 2 Providence – come into our situation through natural means. Sometimes a break through does not come quickly but He gives us the grace to see us through and to persevere. What situation are challenges for you today? Is there a consecration that is requires? Do you need more of the presence of God. Do you need to take a step of faith? If that is you I want tot pray for God's grace upon you and that His Spirit can work in that situation. Amen! Part 3 The Struggles and the trials. This June we celebrated 10 years of God's faithfulness to us at Word of Grace. We are in awe at what the Lord has done and how HE has sustained us thus far. Here is the second part of the script of what was shared at our celebratory evening. ( I have added a little more detail here to make it more understandable). As you read it, my prayer is that you will have faith for your situation, to know that in this journey of faith, you NEVER walk alone. If you are a pastor, or involved in a church plant, I hope this post will be a special blessing to you because this is a story of a BIG FAITHFUL GOD who never lets us down. To connect with PART 1 of the story, click here and for PART 2 , click here. John Hosier on his trip to us said “One of Satan’s ploys to attack church plants is to create irreconcilable relational differences and to prevent the church from being rooted and established”. Sadly in the early years we faced this and we were buffeted by wave after wave. But God strengthened us and gave us the grace to have faith and to persevere and to just hold on. 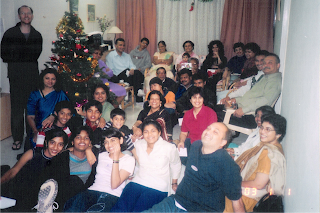 No sooner had we kicked off as a church plant, that Newfrontiers India faced a huge crises in the apostolic leadership. The whole leadership was dismantled and that had massive bearings on all of us. All the leaders of the various Newfrontiers India churches had their own pains and hurts to deal with as a result of being under a very legalistic, authoritative and abusive style of leadership. However, there was now this huge vacuum of apostolic leadership for a while that left us in a black hole of not knowing what the future would hold for us as a movement . This also had a massive affect on each church leadership of which we were spared in some ways – we being a fresh plant. However we had inherited a group of people that had their own issues between themselves and we were now responsible to get this ship sailing smoothly. Unfortunately that was not to be and we were probably too naïve about Satan’s tactics of causing relational disharmony and driving them to irreconcilable differences. Before we knew it, we were being accused to saying things we never said, and all kinds of slants and twists being put to statements pulled completely out of context. If this was not enough, we were being slandered to people outside the church, to the pastors in the city and even accused of a lack of integrity in financial matters. That we were naïve is an understatement. But we thank God that even in that , God was guiding us to do certain things that helped clear ourselves of these false allegations. It was a shocking, painful and lonely time as there was literally no one who stood by us or expressed confidence in our integrity . However during this time there was a new apostolic team being set in place under the guidance of Terry Virgo. We had Alan Preston ( current Elder at the Church of Christ the King, Brighton) come alongside us and give us oodles of encouragement , expressing much confidence in my leadership and integrity. That was balm to our souls. God sent angels from time to time to aid us, strengthen and encourage us. We are amazed at the faithful hand of God upon us . Every time an accusation relating to finance was levied at us, God would shovel a huge amount of money into the church through the most unexpected sources. It was His way of saying “ I trust you with my money”. But during the struggle, we also got support and encouragement from afar. God placed us in the hearts of people from the Netherlands, the UK and Dubai who came like angels and helped us. I’m so thankful to Roger Cox who was the Pastor of the Newfrontiers church in Dubai, Wout & Lydie Geurts and their pastor Gert Hijkoop who is the pastor of Wijnstok Gemente in the Netherlands, Onno Westrate from the Netherlands and Tim Brown one of the elders of The Coign Church in the UK who came into our lives and prayed for us, encouraged us and helped us in different ways. This was also a time when we had hit our lowest point in our personal finances. With rising costs of living and a pastors salary that was meager( and stuck with no annual increase because we were lost in a vacuum) we just could not make ends meet. We felt God remind us of a sermon we heard on the widow’s oil and Elijah where Elijah asks the widow “what do you have in your hand” – and from that a miracle flowed. We felt God lead us to a tent making enterprise of hand- made greeting cards ( a skill Navaz is gifted at) and later into all sorts of printing. God sent help from quarters we least expected. We are deeply indebted to Wout and Lydie Guerts who helped us ( Lydie helped with designing cards and getting us orders from Holland) establish the business and sharpen our skills. Because of the business, this young church plant, with barely a handful of people was financially self supporting very quickly. So in every dark cloud there is a silver lining. As we were buffeted by the wind and the waves, we drew strength by holding on to the call of God and trusting in His faithfulness. We learned to cast all our burdens on Him and to depend on him alone. Colin with Pradip in the Prison. During this time we joined with Pradeep Waghmare of Freedom Foundation in the Yerwada Jail where we were involved in eye camps, ecg camps, toiletry distribution etc. We had a cell group in the prison where the gospel was preached and the bible was studied. Several years later we had the joy of baptizing an inmate who was in on a Life Term but was released before his term ended. We also were involved with working with women in the Red Light area as well for a year or so. We provided medical assistance and ran a Life Group in one of the brothels in the heart of this area. In the soverignity of God both these projects drew to a close and we felt we needed to plug all our energies into establishing the church before getting into social ministries that are good but very demanding on ones time, energies and resources. David Stroud whom we met at a Leadership Conference advised us saying healthy strong churches will have healthy strong ministries and that building a strong church base ought ot be our first priority. And that is what we set out to do. 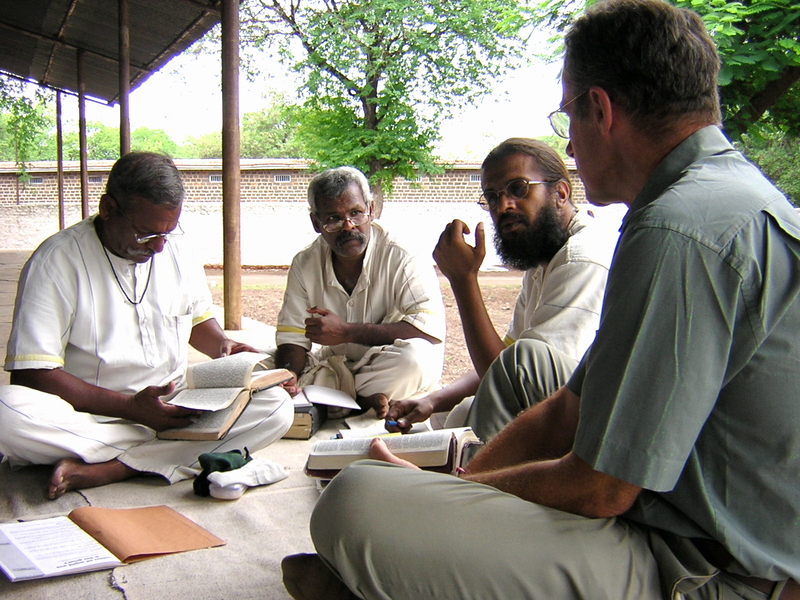 During this turbulent phase that Newfrontiers India was going through, Terry Virgo put in place a team to help bring healing and hope. On his behalf, Guy Miller brought in his team and I’m thankful for that. During the Dark Ages it was Alan Preston who was a part of Guy's team and who we were relating to ( whom I mentioned earlier) expressed confidence in us and stood by us. We are indebted to his support and his pastoral insight and wisdom as he guided us through many a tricky situation, of gossip, slander, lies etc etc. Having come alone to Pune i.e with no church planting team or even one other couple to shoulder responsibilities, everything was down to us. We were the Serving Team, the worship Team. Teaching. preaching, hospitality, life groups, prayer groups etc etc was all down to Navaz and I. We would set up for Sunday, pack everything, and get to work with a toddler strapped in a harness. Andrew as young as 7 years , pulled his weight, handling the overhead projector, then graduating to playing the bongos and by the age of 10 he was on the drums. As Jessica grew older she learned to handle the over head projector and later the DLP along with the laptop. For the initial years we had amazing growth of 50% . But we also lost 50% each year as Pune is a very transient city where people get transferred in and out in their jobs very quickly.. As a result the church struggled with just 25-30 people for a few years. There was this huge battle for the first fruits and to establish this church plant. Each year there was a 50% turnover of people. The same numbers but different people. It almost felt like running on a treadmill. Lots of effort evangelizing, training, discipling, but we didn’t’ seem to be going anywhere. But like God sent us angels from out of India, we also had angels from within India. I’m thankful for Kenneth & Yasmin who were amongst our first fruits of evangelsim, It was wonderful to see them saved along with several others. They were a great strength to us even though they were very young Christians. Kenneth's financial astuteness and understanding of accounts helped fend of crazy allegations and put very sound systems in place. We also had Nikunj Singh who came in later who was such a pillar of strength and took responsibility for setting up on a Sunday morning along with a few other. We are thankful to Ravi Bontha who began to catch a heart for the church and served so diligently and with great love for the church. with some of the youth. 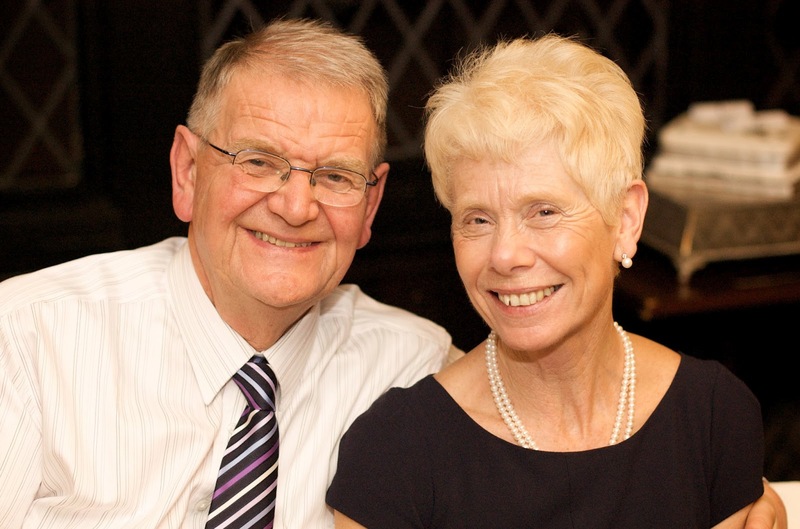 Then came Pete & Liz Harwood for a brief spell as they felt they wanted to come and serve this struggling church plant. God brought all these people at different times to encourage us and give us a lift and show us that God had not forgotten us. These people along with Navaz and myself formed the core. We are also thankful to others like Rajesh and Sunita, Keith and Roopa, who carried responsibilities and served faithfully while they were with us. Over these years various people prophecied that there was a great harvest comming and that we are not to give up, but wait for it and that God is going to flood us with resources in time to come. Like Noah we are to get the ark ready. So we stuck in there with hope and patience awaiting the fulfillement of those words. I’d like to acknowledge a handful of people who have not just stayed with us many years but have contributed to the strength and growth of Word of Grace. 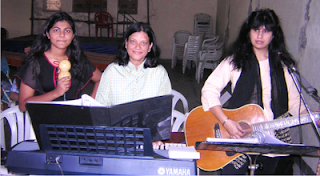 There are 2 ladies I’d like to acknowledge this evening – Sulakshana who came to the Lord at Word of Grace but inspite of being the oldest has not let her grey hairs keep her from enthusiastically serving the church and loyally staying with us inspite of being exposed to a lot of bad stuff that happened. There’s also Joyce Pillai, this young, gifted lady who came to us a few years ago when we were a small group and has stayed on . She is an anointed worship leader with a beautiful voice and has a great at heart for reaching out to people. Thank you Joyce. 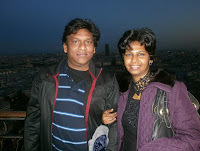 Then there’s Anand and Sailaja who have been faithful and loyal through the years. 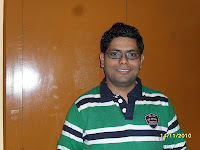 He is now leading a Life Group and is a budding teacher and who have a great heart of hospitality. During this very tumultuous time I am grateful for the connections I had with the city pastors. I’m thankful to them who were very welcoming and quickly gave me the right hand of fellowship when we just came to Pune. 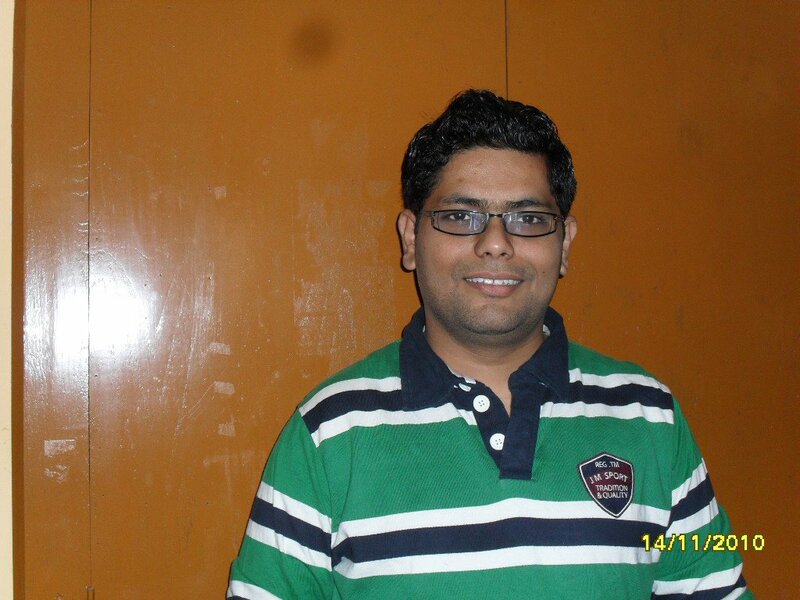 It was Pastor Balchandra who first sought me out and I’m thankful to him. I’m thankful to these men of God for including me and for their friendship - Ps. Raju Thomas, Rev, Makasare, Ps Sudhir, Ps. 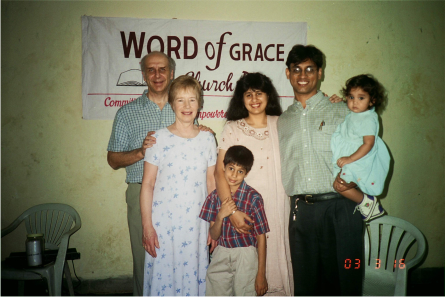 Joseph Pawar, and Rev. Madhu Surwade among many others. There are other city pastors here who I have subsequently got to know - Ps Ranji Babu, Ps Abraham, Ps. 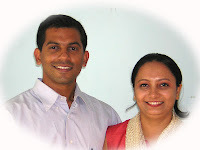 Milind & Ps sunny. May I request all the Pune Pastors who are here to stand. We want to recognize you. During this time, Navaz had many opportunities to help lead various worship bands in the city and lead worship at various joint churches events. We are very grateful to Vilas Samudre who encouraged and recognized God’s anointing and gift in Navaz. We had just entered our 7th year of being in Pune. Slowly we began to see a more stable group emerge – the outflow had decreased and the group was getting more cohesive. As we had prayed we started to see more local people join the church and that was a good sign. Was this the beginning of the tide turning at last? In late 2001, early 2002, God began to stir our hearts towards church planting - which is a part of the DNA of Newfrontiers. 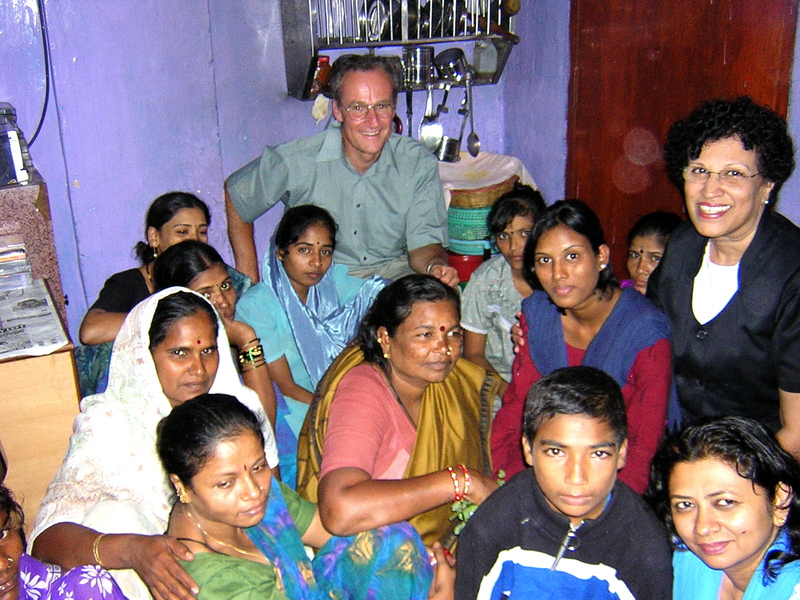 There was a small group of people gathering in Pune that was led by a person called Martin Malkaney (also from LWC) who served this group of people by making weekly visits from Mumbai to Pune for a whole year. He then left for New Zealand. There was still a need for someone to pastor this fledgling church plant and another person Shashi Rajan took charge till a suitable person could be found. In late 2001, God began to place a “holy discontent” in my heart. Although we loved being at Living Word Church and in Mumbai, every time we prayed for church planting my heart burned with a desire to church plant. God began to stir our hearts towards church planting. We had received amazing prophetic words from John Paul Jackson and from Ram Babu about church planting in India and reaching the nations, starting a training school to train pastors … and it left us thinking, “when will it happen?”. Here are portions of those prophetic words we had received. “I saw you pastoring a church and I saw you being trained to do that. I saw you forming a school to train pastors and forty to fifity people were being trained in the school where you had some how either formed of had a great part in forming it and you were part of the formulation process. I see you going all over India even though I see you pastoring a church. I see you going all over India planting and breathing fire that destroys the work of the evil one and you are going to be a fire starter all over India. In fact I see you going into Paksitan and starting fires. And I see you going into Laos, Indonesia or Cambodia area, Vietnam area and starting fires. 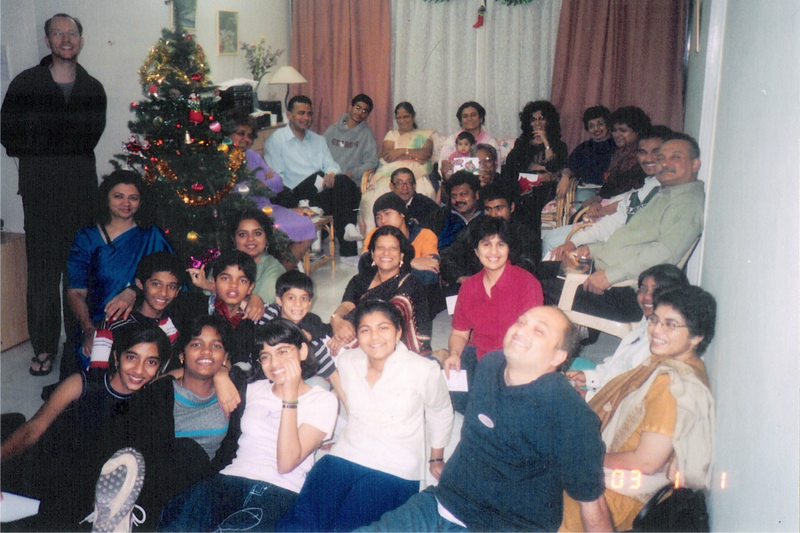 During that time there were a few of us that made bi-weekly trips to Pune to support the group gathering there. I was one of them. And during these trips God began to draw my heart to Pune. We began to seek God whether it was his will for us to move. Navaz had made a prayer to the effect “Lord if you want us to move, say something to us through a prophetic word or “you have stayed long enough on this mountain and it is time to move””. God was faithful, and at a conference in Jan 2002, God spoke these exact words through a new song that was introduced at our annual Newfrontiers India conference. What is significant about this is that Navaz who has always been involved in the worship team at such conferences was not involved this time, due to the birth of our second child, Jessica. Therefore she was unaware of the songs being practiced or the new songs’ being introduced. These were the word of the first verse of the song that sealed it for Navaz. We’re an army of praise! to her feet for the first time! 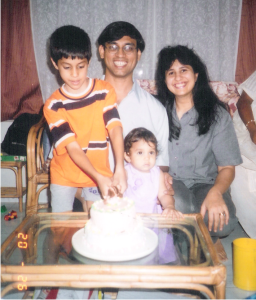 So in June 2002, our family moved to Pune. 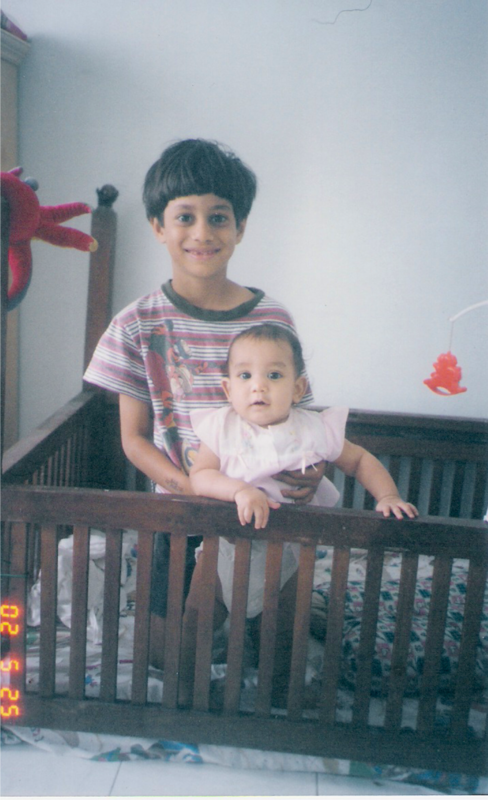 To help you visualize this here is a photo of Andrew,7 years old and Jessica who had just turned 6 months. We are thankful to some of the ones who were in the Pune church in 2012 who made our transition to a new city so easy and who welcomed us warmly. I want to make special mention of Glynis,(who is here today) Shashi & Neelam and David Ludwig among others. First New Years eve being celebrated in our home. First Prophetic Words over the Church. Ephesians 2:20 speaks about the church being built on apostolic and prophetic foundations. Besides the prophetic words we received personally. In 2003 we received a prophecy for Word of Grace. 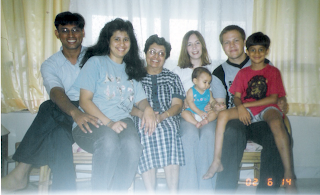 Sam Poe ( July 2003 at Brighton, UK) – "I Felt the Lord was going to open doors unexpectedly into areas and opportunities of harvest and that you are going out of pioneering to see the church planted. God is going to give the church an apostolic base, not just a local church, but having influence over an area. I see people coming in and going to plant other churches, you will raise people and send them out." John Hosier, who at one time was the senior pastor of Church of Christ the King in Brighton visited us in Pune . We had the joy of him preach at our church, pray for us and be with us as we named the church. 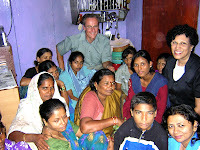 Very soon into our first year, Newfrontiers India went through a huge turmoil and change in the Apostolic leadership. The ripple affects were felt by all the churches, us included. One of the things John Hosier said to us on his visit was, “One of Satan’s ploys to attack church plants is to create irreconcilable relational differences and to prevent the church from being rooted and established”, and that we need to watch out for this. Sadly in the early years we faced this a lot and we were buffeted by wave after wave. But God strengthened us and gave us the grace to have faith and to persevere and to just hold on. The battle for the first fruits had begun. In the next part we will share some of our struggles as a Church plant. How many of us like movies? We all like different kinds of movies. Some of us like spy thrillers where someone goes undercover, there is danger and suspense. 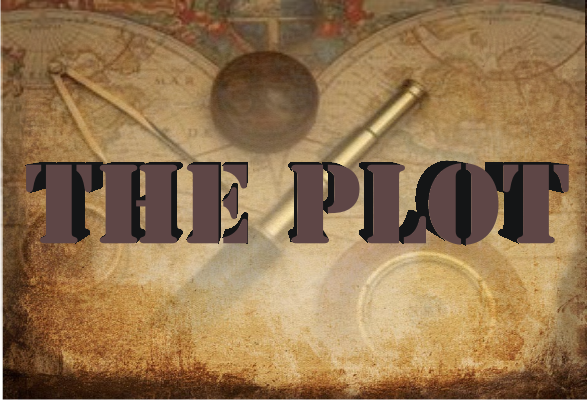 This morning we are going to look at a similar kind of story in the Bible where there is adventure, suspense, danger, spies and the good guys win in the end. This morning we are going to look at a famous personality in the bible –she is known as the prostitute, Rehab. The Israelites are on the east of the river and are about to inherit the Promise Land. It was now Joshua’s responsibility to lead the people. Here is his strategy. Joshua sends in two spies secretly. The question to ask is secretly from whom? From the Israelites. Joshua remembered the last time 12 spies were sent, 10 came back and spread a bad report and it had a devastating effect on the people. They landed up wandering in the dessert for 40 years because of the unbelief that got sown. So this time he was careful. The river was in flood. The spies must have had to find a way to get across. Spies are supposed to blend into the community so that they are not spotted – so they ought to dress like the local, speak like them. The spies arrive at the city and book into an Inn. In those days Inns of this sort were of ill repute – there was a lot of prostitution that was practiced there. The bible makes it a point to highlight Rehab’s reputation. Five times in scripture she is referred to as Rehab the prostitute. No sooner did these spies arrive in Jericho that they were spotted – so much blending happened – maybe their clothes or their accent gave them away. They were found out. Rehab hides them. What made her do that? If you are caught hiding spies – punishment was death because it was high treason. So why did she do this? Verse 4-6 tells us she sends the Kings messengers on a wild goose chase. She has hidden them on the terrace under the flax and helped them escape. Verse8 gives us a clue – “I know the Lord…” Somewhere in the past Rehab the prostitute had become Rehab the believer. Verse 10 tells us of how she had heard about the parting of the Red Sea. This had happened 40 years ago! People were still talking about it. Maybe she may have overheard some discussion about it and somehow faith rose in her heart. God can use any situation to spread is word. And His word will never return empty. Verse12 – She pleads for her family. She was an amazing lady of amazing faith. Jericho was a city that was a 1000 years old. The walls were several feet thick. But she knows that God would accomplish his purposes. She did not just care for her life but for her family as well. Maybe we have family members who are not saved- lets be like Rehab who wanted her family saved. We need to cry out for our family. Verse14 The spies responded – “our lives for your lives” these spies had faith and confessed faith. Chapter 6 we see that Jericho is destroyed and in verse verse20-22 we see Rehab was saved because of her faith and the scarlet cord. What can we learn ? 3.How does one get saved from judgments? The scarlet cord – it requires great faith. Her house was on the wall! And the wall came tumbling down. They could have moved house saying it was not safe there.. The scarlet cord represents salvation in the blood of Jesus. Today if you don’t know whether you are saved, get hold of the blood of Jesus. Act on your faith – she did something . You need to act on your faith – baptism is the first step. Rehab must have also heard of God’s promises. Gen12 :3 perhaps she heard the promise somewhere . She was blessed – she and her family were saved. Rehab married ( Matt1:5) Salmon the father of Boaz who was the father of Obed who was the father of Jesse. Jesse was the father of King David who is a part of Jesus ‘ lineage. So we see grace upon grace being demonstrated here. Through the blood of Jesus we are blessed. It does not end here. Heb11:31 By faith Rehab…We see how from the hall of shame Rehab is lifted to the hall of fame, how from a common harlot she becomes a courageous heroine, from a zero to a hero from the gutter to glory. So whatever your sin, God can take away the shame and put you in his hall of fame. This is God’s abundant life transforming grace that is available for each one of us.